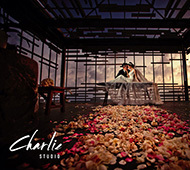 The Butter Studios Photography and Photobooth team is led by husband and wife: Chris and Gina Chong. 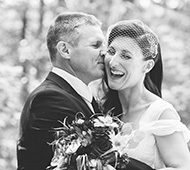 With years of photographic experience, Butter Studios is definitely a favourite for wedding photography in Vancouver! 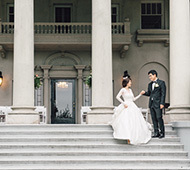 Timeless, Modern, and Fresh images of your big day to last a lifetime! 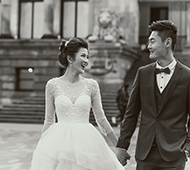 Timeless Wedding Photography for the new generation. Engagement, Pre-Wedding and Wedding Day Photography packages. Custom Album, Photobooth and Canvas Prints available as well. Brianne Adams is a Canadian photographer based out of the Vancouver area. 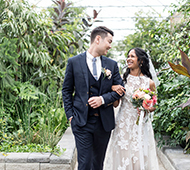 Taking advantage of the beautiful scenery in and around Vancouver, Brianne offers engagement and wedding services outdoors as much as possible. Brianne is easy going and strives on creating a memorable photographic experience for all her clients. Not just another pretty dress. We believe that every wedding has a unique story. 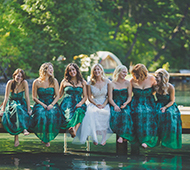 At Affinity Photography, we focus on capturing the special moments as they unfold in order to translate the emotions, reactions, and your "story" into beautiful images. Matte Box Memories has been serving Vancouver since 2001. 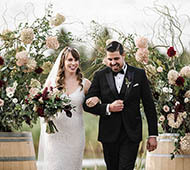 We are a committed team of photographers and videographers that have been discovering, celebrating and preserving the memory of your wedding for you and your loved ones to enjoy. 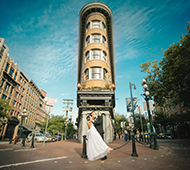 We are Vancouver based photographers, and we offer wedding, engagement, and lifestyle photography in the Lower Mainland and worldwide. 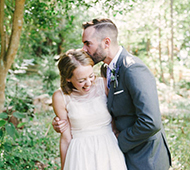 As a husband and wife team, we strive to create and capture beauty, laughter and any precious moments! Glimmer Films has produced extremely creative Wedding Cinematography and Photography since 2005. Our goal with your wedding is simple: Be Different. 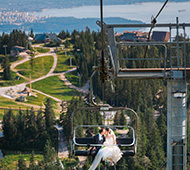 A Vancouver, Whistler, and Squamish wedding photographer.With more than 25 years of experience as an award winning photojournalist, David has a uniquely candid style of wedding photography. 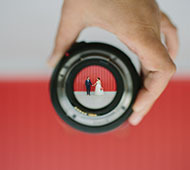 One stop shop wedding photography & cinematography & wedding dress studio. 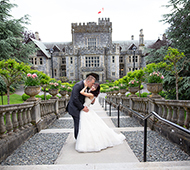 For over 14 years we have been helping couples in Vancouver during these precious moments, capturing them for a lifetime of memory. Hi there! My name is Mike Bradley and I’m a photographer living in the Fraser Valley. If you’re looking for a fun, personable, affordable, and easy going photographer for your big day, hit me up! From a first birthday, to walking down the aisle, LaBastian Studios is there to celebrate all of life’s milestones. Our mission is to capture moments the way life intended it to be and to help relive them in ways you thought impossible. 5/5 star rated 65 times! Trust our proven track record of excellence! Benefit from the cost savings and convenience of booking all your services with one company. Our staff work well together and you'll have one point of contact the entire time. From the moment you exchange rings, and officially marry your best friend, to the incredible feeling of knowing your life has just began today. Let Sparrow Photography capture your love story. 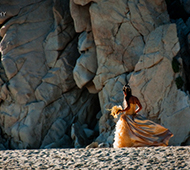 Timeless fine art wedding photography experience. 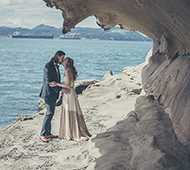 BetterSweet Photography is husband and wife fine art wedding photographers based in Vancouver. Macy is inspired by raw emotional connections between people, balancing creativity with authenticity in telling your story. 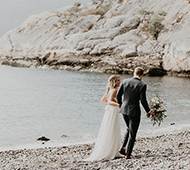 Wedding, lifestyle and, visual storyteller that specializes in photographing natural, candid and romantic imagery that paints your THIS IS IT moment. 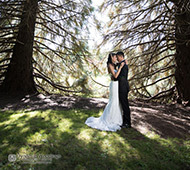 Award-winning photographer with over 10 years experience, dedicated to excellent service and reasonable rates. 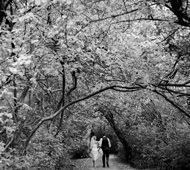 Isle and Oak Photography is a team of two specializing in unique and personalized wedding and lifestyle photography. 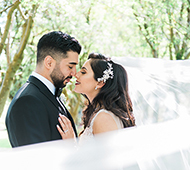 Stunning Vancouver wedding and portrait photography, capturing timeless moments, effortless posing mixed with film tones and colors to create romantic, editorial-styled portraiture in natural light on film and digital. We are in the Vancouver area located in port Coquitlam. We strive to capture both wedding videos and photos to wedding couples that are in need of our services. If you crave photos that you will want to keep coming back to, and relive your moments for years to come... invest in your photographer. HN Wedding Studio established sience 1998 is a one stop wedding boutique store offering professional and highly skilled expertise to capture your wedding moments. Our goal is to document the timeless memories of your wedding. 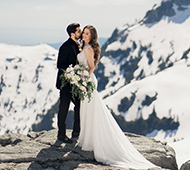 Multi-award winning Vancouver wedding photographer & videographer with hundreds of amazing weddings from Paris to Vancouver. 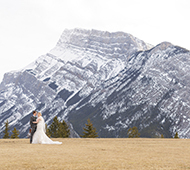 Featured in WedLuxe, Martha Stewart Weddings, Real Weddings, Rocky Mountain Bride & more. Make it amazing for your wedding! Photography taken with Personal Care & Attention. 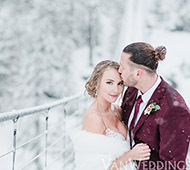 Our professional photographers use nothing but the best in professional gear, are personable and work with you to customize and incorporate your unique style. Also consider our professional photo booths for a fun add on so you and your guests can let loose later in the evening! 5/5 star rated by 100+ couples and multi time award winning! Trust our proven track record of excellence! We have 20+ years wedding experience in Vancouver and strive to make it easy and affordable by providing you multiple award winning services. Increase your savings when you combine services. You deserve the wedding of your dreams! We can’t wait to be there with you on your special day! HN Wedding Studio established since 1998 is a one stop wedding boutique store offering professional and highly skilled expertise to capture your wedding moments. Our goal is to document the timeless memories of your wedding. 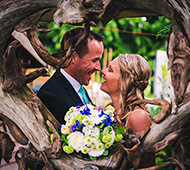 Professional photographers specializing in weddings and events based in Vancouver, Canada.Telling the story of your day through candid photo-journalistic styled images is what we love to do. We are motivated by the relationship of our clients and your story is what inspires us to strive for perfection. We can tailor a package that fits your need and are available for travel. 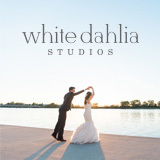 If you are as excited about photography as we are, we love to meet with you and be part of your special day! Specializing in natural and candid wedding & engagement photography. 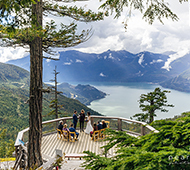 Serving Vancouver and destinations worldwide. Note: To sort by Company/Location/Website/Prices, please click on the subject heading.